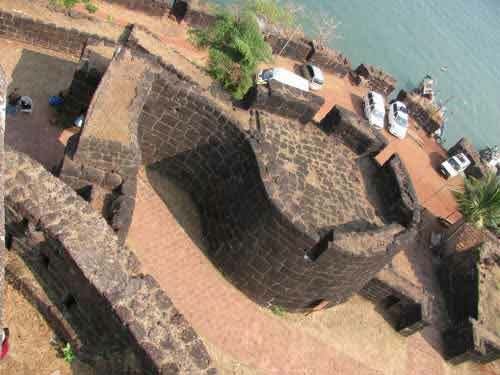 Vijaydurg, situated 48kms south of Ratnagiri, is one of the strongest marine forts on the west coast of India. It is also an excellent harbour. Built on a hill on the mouth of Vaghotan River, the fort was protected on three sides by the sea and on the east side by ditch, now filled up. After crossing the front gate on the east, the path, skirting round the massive middle wall, enters the hidden inner gateway. The strong triple line of fortifications had 27 bastions, some of them two-storeyed. Within the citadel there were many buildings and storehouses, now all in ruins except a structure called Rest House. For the supply of water there were several wells and large tanks. In recent years a submerged wall 100metres east of the fort has been discovered. The under-sea wall is 3 metres high, 7 metres wide and 122 metres long. How and why this sea-wall was built is not clear. 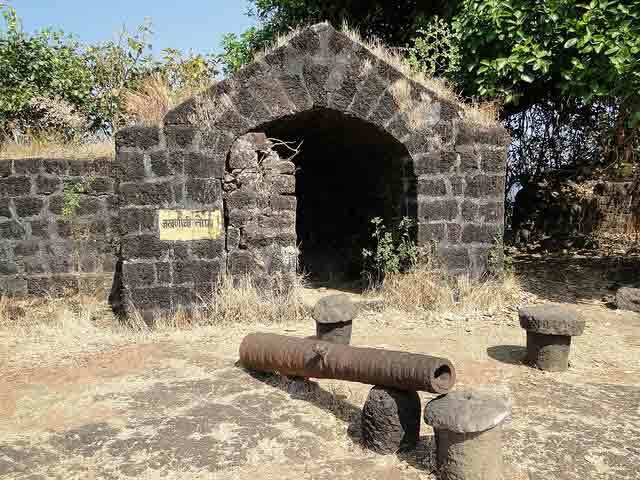 On the bank of the Vaghotan River, about 3kms from the fort, there was a wet dock where the Marathas used to build and repair their ships. Vijayadurg is an ancient site. 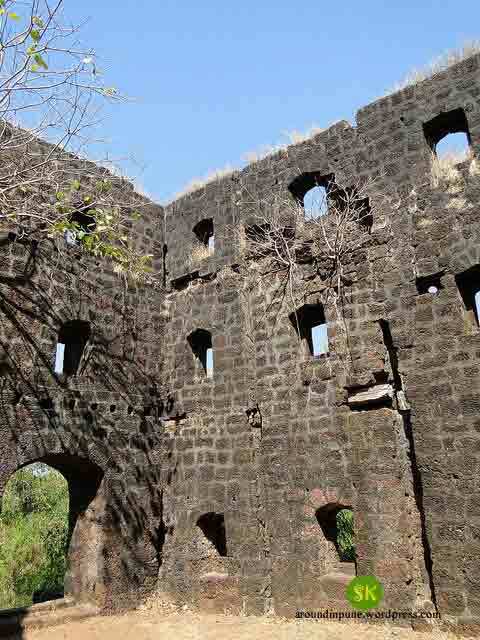 Initially known as Gheria, it was enlarged by the Bijapur rulers and then strengthened and enlarged in the mid-17th century by Shivaji, to whom it owes its triple line of fortifications, towers and also its new name, Vijayadurg – Victory Fort. 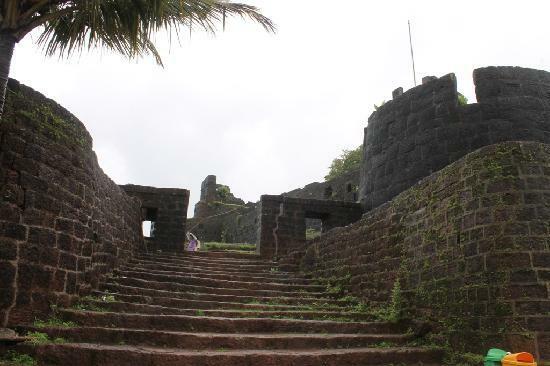 During the time of Kanhoji Angre (1667-1729 AD), the naval chief of the Marathas, the fort was so strong and firmly held that it successfully withstood assaults of the European maritime powers. Later in 1756 AD it fell to the combined operations of the English and the Peshwas. 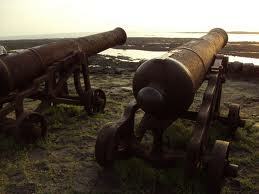 However, it remained in the hands of the Peshwas till 1818 AD when finally it was surrendered to the English. As of now, Vijaydurg does not haveany budget/top end hotel. Dormitory accommodation with basic amenitiesis available. There are private home owners who offer there home asguest house for tourists. 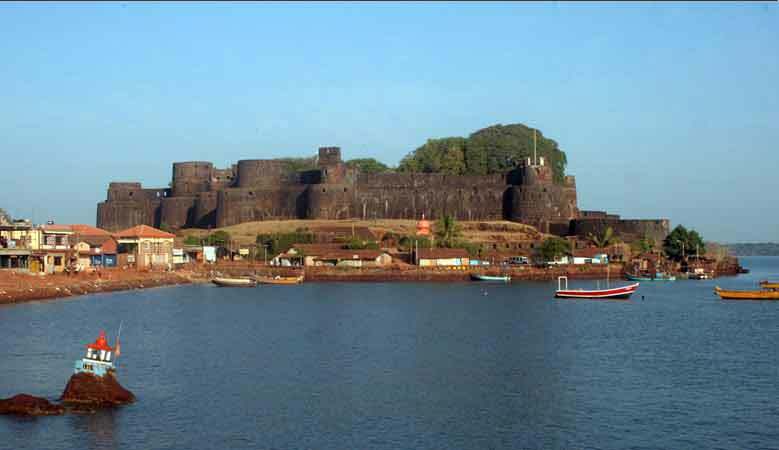 Via Mumbai – Goa highway Vijaydurg is 245km.Ferry services are available from Malvan port to Sindhudurg Port. Bus services are also available from Pune. The palatial house of Dhulap in ‘Vijaydurg’ village has some beautiful wall paintings of natural colours. These paintings are of Maratha style.